Ryan is an ordained Minister of Love, having performed marriage rites on a Portland eco-roof and a Waikiki beach. Ryan is a skilled facilitator and public participation practitioner working on a range of projects addressing water, cleanup, natural resources, energy, and transportation. He has worked in communities across the Northwest and served in our Portland office before returning home to Puget Sound. 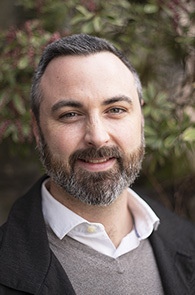 Ryan brings over 10 years of experience helping clients communicate more effectively, engage stakeholders in critical dialogue, and reach agreement. He’s enthusiastic about tackling complex community issues, working with diverse perspectives and exploring creative and collaborative solutions. In his spare time, Ryan is formulating his next homebrew recipe.